Can You Lift Light Weights Daily to Lose Weight? Lifting weights is a highly effective way to lose fat from your body. However, lifting every day is going to do you more harm than good. Weight lifting is extremely taxing on the central nervous system and the musculoskeletal system, and sufficient rest between your sessions is vital. Train your upper body twice a week. For example, you might work on your arms, chest and back on Mondays and Thursdays. This gives the muscles plenty of time to recover between workouts, allowing you to have an effective and satisfying workout every time. 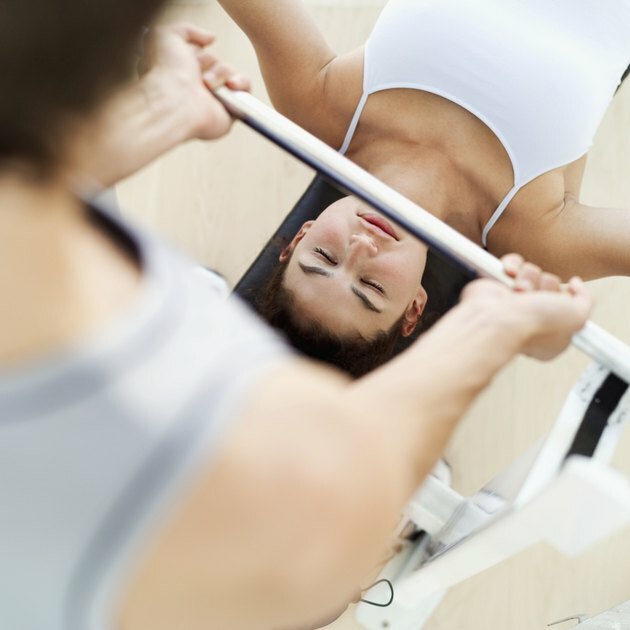 Important exercises for burning fat and building the lean muscle in your upper body include bench presses, overhead presses, bent-over rows, forward raises, overhead triceps presses and biceps curls. Train your lower body twice a week, say Tuesday and Friday. Your lower body requires huge amounts of energy during weight lifting sessions, and so these sessions will significantly increase your fat loss. Tempting as it is to train your lower body more often, the muscles still need plenty of time to recover and repair. Important exercises to reduce body fat and improve musculature in the lower body include the squat, deadlift, lunge, single-leg squat, leg press, calf raise and hyperextension. Weight lifting is a high-intensity, taxing activity. Your central nervous system is working at full capacity during weight lifting, directing a high volume of electrical and hormonal impulses all over your body. Your musculoskeletal system is also working extremely hard to meet the demands you are putting on it. The combination of these two systems being so challenged is responsible for the shaky sense of fatigue you experience at the end of a tough workout. Overexertion of the central nervous and musculoskeletal systems can lead to stalled fat loss, hormonal disruption and injury, so it's vital to give your body time to recover between your workouts. While time off from training will allow your systems to recover, there are several strategies you can use to improve the rate of recovery. First, make sure you get at least seven to eight hours of sleep each night. Next, make sure you are eating enough protein, carbohydrates and fat to allow your body to rebuild muscle fibers and replenish energy stores. Take regular time for leisure activities, such as relaxing walks in parks or long baths, to reduce the levels of stress hormones circulating in your body. Assisting your body in its recovery will allow you to have more effective workouts, which in turn will help you achieve your fat-loss goal faster and with fewer problems. International Journal of Obesity: The Effects of High-Intensity Intermittent Exercise Training On Fat Loss and Fasting Insulin Levels of Young Women.